Will Stirling of Stirling and Son recently worked on this project to bring the magnificent Mingary up to scratch. She was designed by Alfred Mylne (more information here) and built by the Bute Slip Dock Co of Port Bannatyne, Scotland in 1929. 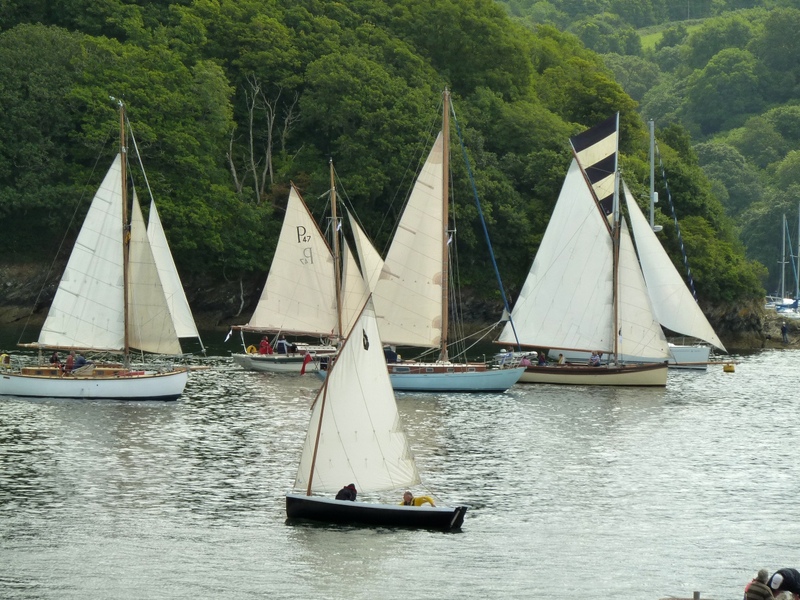 Fowey Classics is a rally of vintage and modern classic sailing boats ranging typically from 12 feet to 12 tons (or more) representing a diverse range of designers stretching back to 1886. It takes place the beautiful and historic port of Fowey (50°21´N, 4°38´W) on the south coast of Cornwall between Plymouth and Falmouth. Anything up to a 100 boats attend from as far afield as America but largely consisting of visitors from along the south coast and the Brittany coast. The organisers say the event is a particularly friendly annual gathering. It takes place following Plymouth Classics, with many of the participants sailing down the coast from that event to begin Fowey Classics on the the Tuesday morning (30th July this year) and continuing until the Friday (2nd August this year). The parade of sail on the Thursday lunchtime is said to be a magnificent sight, and this year a cruise liner Silver Cloud will be moored in the lower harbour on the Friday and Gypsy Moth IV is attending and will open for all to see or sail in. Other events include various parties, barbecues, a race or two, a cruise in company and talks about Gypsy Moth IV and the local Troy keelboat class – the last one is to be given by Intheboatshed.net regular Marcus Lewis. If you’d like to see the event or take part, more information can be found at the www.foweyclassics.com or telephone Mike Sutherland on 01726833843. 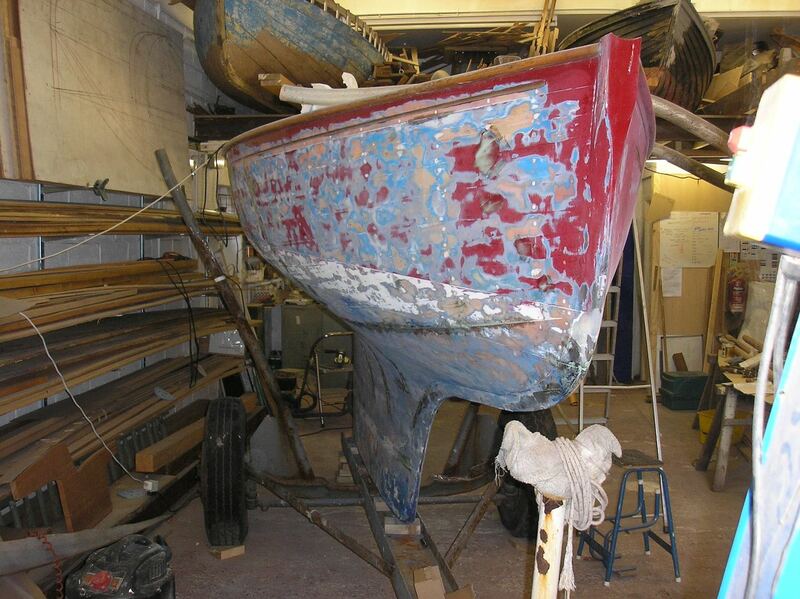 For more intheboatshed.net posts mentioning Fowey, click here. 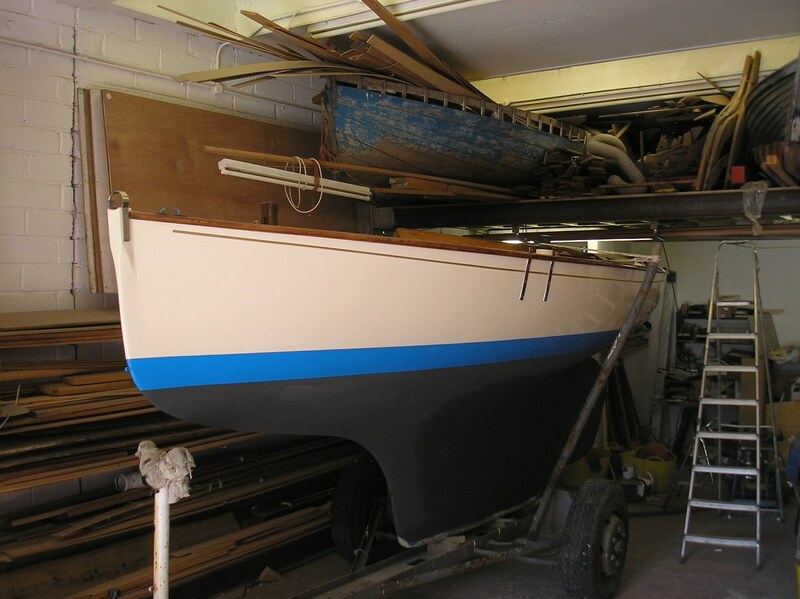 Fowey boatbuilder Marcus Lewis has written to say that he’s had Shimmer, T4 of the Troy Class, in the workshop for a bit of attention, including 11 new ribs, rudder refitting, and painting all over – what he calls the usual maintenance stuff. 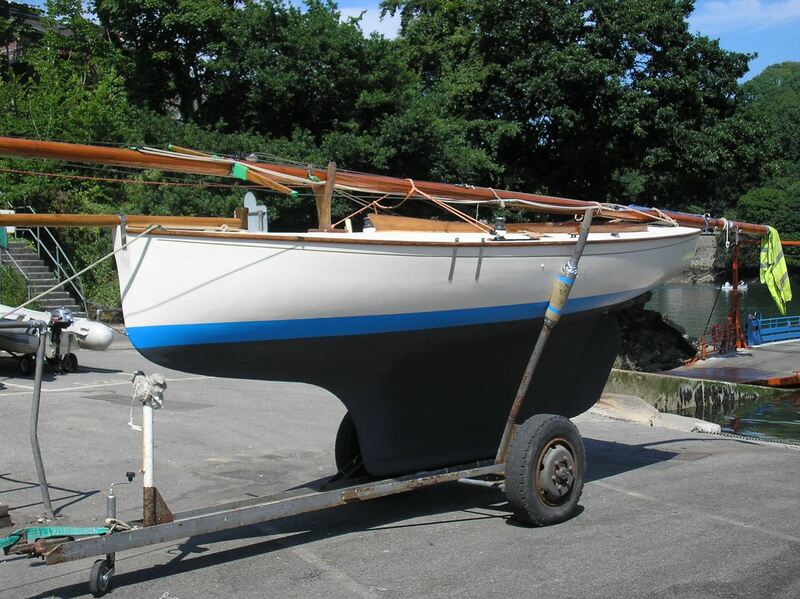 Shimmer was built in Fowey by AH ‘Archie’ Watty during the winter of 1929/30. She was made for the local squire Colonel Edward Treffry, and was sometimes sailed by his daughter, Elizabeth. 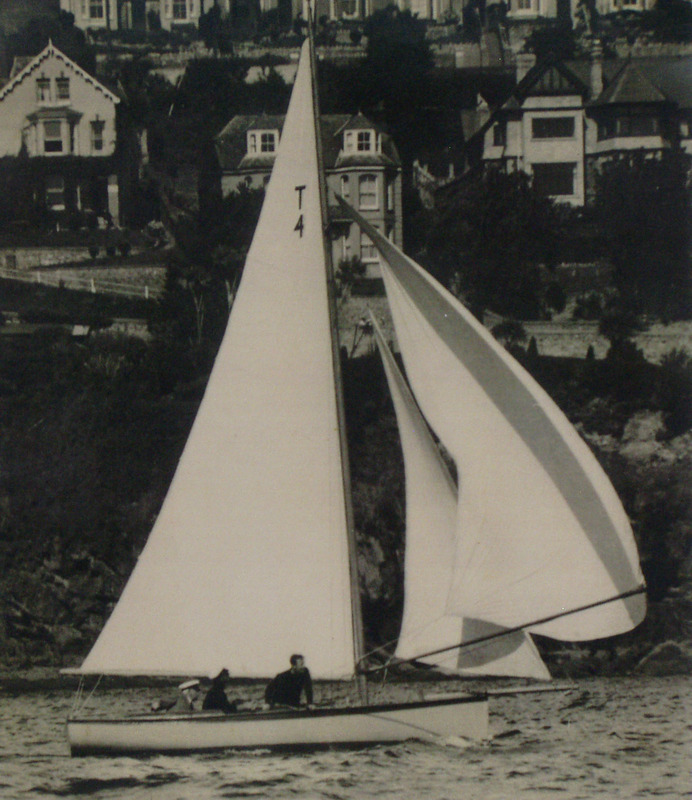 The old photo below shows Shimmer winning the Royal Fowey Yacht Club Regatta race in 1930 with the colonel at the helm. As the results show, Shimmer started her career in fine style. In 1946, the boat was sold and bought by author Daphne Du Maurier’s husband, Lt Gen Sir FAM Browning, only to be bought back by Elizabeth Treffry around 1953.